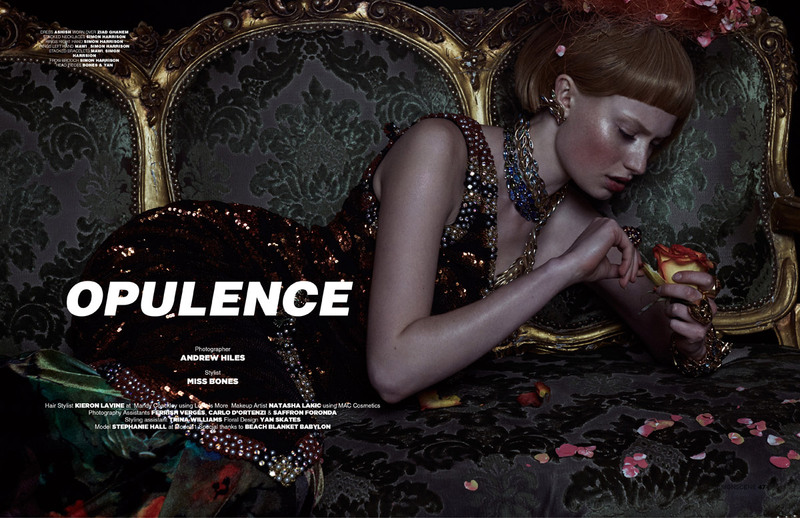 Stephanie Hall at Models 1 stars in Opulence story captured by fashion photographer Andrew Hiles for the July 2017 edition of our Design SCENE Magazine. In charge of styling was Miss Bones, with flower design from Yan Skates. Beauty is work of hair stylist Kieron Lavine at Mandy Coackley using Less Is More, and makeup artist Natasha Lakic using MAC Cosmetics. 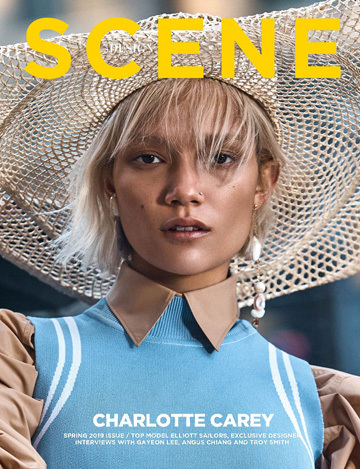 For the story British stunner is wearing selected looks and accessories from the likes of Ashish, Emma Brewin, Simon Harrison, Mawi, Sorapol, Le Roni, Elena Badmaeva, Kyles, Ziad Ghanem, Bones & Yan, L.O.M, Barrus, Jack Irving, Tessa Metcalfe, Steven Sheldon, Tessa Metcalfe, and Bones by Bones. Photography assistance by Ferrish Vergés, Carlo D’Ortenzi & Saffron Foronda, styling assistance Trina Williams. Special thanks to Beach Blanket Babylon.